Note-If anyone else makes the new AT other than the Admins,The thread will be closed!! 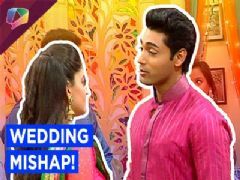 Ruslaan Mumtaz takes us on a tour of house! What went wrong in Sudha's wedding on Balika Vadhu? Toral was first seen as Priyanka in DMD. Priyanka ends up creating chaos everywhere. Over the course of the show, she becomes stronger, more hot tempered and coordinated after dealing with all the problems caused by Koel and her gang. She is an idealistic student who wants to break the stereotypes at school and is looked upon as an idol by other girls. She is always brimming with new ideas, some of which land her into trouble. Her parents are divorced and she lives with her mother. Priyanka has a habit of humming to herself even in the middle of her classes as she loves to compose songs. She is the band leader, lead singer and guitarist in the Pink Band. She is also the president of the Music Society formed by Nihaal. Toral played the role of Rasal in Kesariya Balam Avvo Harame Des.The story focused on Rukmini a.k.a. Rukmi (Jaya Binju) lives with her father Madan Singh, step-mother Dhapu, younger half-sister Rasal (Toral Rasputra) and half-brother Gheesu. They are poor and struggle to make ends meet. Rukmi, in childhood, had saved Rasal from a fire and got one side of her face burned. Since then, she has been wearing a half veil so that the burn marks are not visible. Rukmi's scarred face acts as a hurdle in her acceptance by society. On the other hand, there is Ranveer (Akshat Gupta), a painter and the son of the most affluent family in the area. He paints a picture of a girl " who looks exactly like Rukmi " from his imagination. One day he sees Rukmini and is stunned to know the girl he painted actually exits. He realizes he loves her and proposes to her. Rukmini wants to tell him the truth of her burned face but is unable to do so. She writes him a letter explaining everything. But Dhapu, who wants Rukmi to get married and leave home quickly, changes the letter. Rukmini thinks Ranveer knows the truth. They get married with the blessings of their families.Ranveer, on the wedding night, lifts Rukmini's ghoonghat (veil) and sees her scars. He feels cheated and refuses to accept her as his wife. Ranveer's family wants to get him re-married. Madan Singh asks his younger daughter Rasal to marry Ranveer. Rasal, who is in love with a soldier named Vikram, agrees even though this means losing her love forever. After marriage, Ranveer and his family take a liking to Rasal; but Rukmini is treated like a domestic help. Some time later, Ranveer and Rasal fall in love with each other; they consummate their marriage and she gets pregnant. The entire family is happy; however, Rasal suffers a miscarriage. Later, a very drunk Ranveer forces himself upon Rukmi. She gets pregnant as a result but, for Rasal's sake, does not divulge who fathered the child. Eventually, Rasal gets to know the facts. She forgives Ranveer, as he was not in his senses when the incident happened. Rukmi loses her unborn child in an accident.Ranveer's father was killed by his evil nephew Deep (Mahesh Shetty), who wanted to take over the family's assets. Deep, his mother and maternal uncle go on plotting against Ranveer, Rasal and Rukmi. Only Rukmi knows the truth, but nobody believes her. After some time, Deep attacks Ranveer, who falls off a cliff and is believed dead. Rasal learns that she is pregnant again. Ranveer is rescued by some hermits but loses his memory. He meets Rukmi at the hermitage where he is recovering. Rukmi does not tell him who he is, because Deep is still trying to kill him. Now, Ranveer falls deeply in love with Rukmi and offers to marry her. When his family finds him at the hermitage, he insists on taking Rukmi home with him. Rasal and her in-laws start hating Rukmi because they think she has taken advantage of Ranveer's condition. Gheesu tells Ranveer all about his past life with Rukmi. Ranveer is filled with regret for having treated Rukmi badly and now gives her all due privileges as his wife.Some time later, Rasal's former lover Vikram returns from war, having lost a leg. Ranveer proposes a marriage between Vikram and Rasal. Initially, everyone is outraged, but Ranver convinces them all. Even Rasal, after great hesitation, agrees. Soon after Vikram and Rasal marry, she gives birth to her and Ranveer's son. Reluctantly, she leaves the baby boy with Rukmi and goes away with Vikram. The child is named Govind. Rukmi promises that she will never have any children of her own, so that Govind remains the sole centre of her attention. Four years later, Vikram and Rasal join Rukmi and Ranveer to celebrate Govind's birthday. The evil Deep tries to harm Ranveer and Govind. However, by now, Ranveer has recovered his memory and realized the truth about his cousin. He foils Deep's attempt. Deep is shot dead by his own father. Rasal and Dhapu ask for Rukmi's forgiveness. The families are happily reunited and Rukmi's patience is rewarded. Toral then played the role of Isha in Choti si Zindagi.The story was about two sister's Isha and Ira.Isha was the elder sister,Mature and Simple.Loved her sister Ira and would do anything for her. 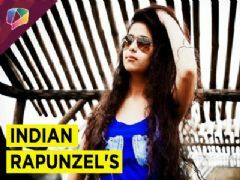 Toral is presently playing the role of Anandi in Balika Vadhu.she was replaced as anandi and entered the show on 4th march,2013Anandi is mature, honest, ideal , sincere. caring and a simple yet complicated character.Her first appearance in the serial as elder Anandi was through a School function as Chief guest, where she displayed her acting skill so maturely and delivered appropriate and meaningful dialogue before the public so beautifully that she immediately caught the attention of viewers and managed to carry-on the expectations of the character.She is superb in dancing skills as well as acting She is doing fabulous job as Anandi Shivraj Shekhar at present .She is a super actor in every role but She is even more excellent specially in romantic scenes and looks very pretty with smiling face.Her pair with her onscreen husband collector Shivraj Shekhar is really looking superb, fabulous, wonderful and so beautiful.She is really looked fabulous in romantic scene with natural eye expressions and beautiful smile.All the time she is elegant, feminine and graceful. *Do not bash any member or any character. *Do not use slang language. Do not abuse anyone. *Do not make fun of other members and characters. *Post only if you are a member of the AT. *Do not quote more than 5 times. Eid Mubarak - Celebration in television shows! TV actors talk about Independence Day! Anandi and Gauri to come face to face in Balika Vadhu! A VM for Toral Rasputra( Anandi of BV) birthday celebrations. Aaj kal paon zameen pe. Toral Rasputra AT#12-Tune mari entry aur dil mein baji ganti are tun! Toral Rasputra AT#11-Pari ho ya Pariyon ki rani!! Sargun Mehta has made it BIG and here's the proof!